I recently went on a trip to Hungary with my parents to visit family. It has been 10 years since I last went to visit them. It was quite the reunion because my family had no idea that I was coming with my parents. It was really hard to keep it a secret for nearly a year, but it was totally worth it to see each of their reactions when I got out of the car. In addition to seeing my family, my parents and I also made it a point to do some sight seeing as well. 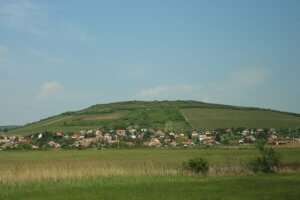 We went to Tokaj, which is a wine region in Hungary, and the Bathory Castle and Wax Museum (Bathori Varkastely es Panoptikum) in Nyirbator, Hungary. 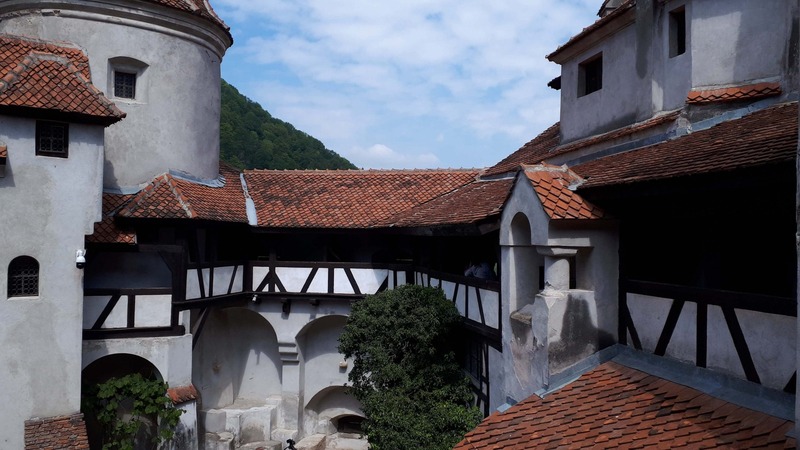 The museum was once a castle where the Bathory family lived and it is probably most famously known for Countess Elizabeth Bathory (Bathori Erzsebet), who was a noblewoman from the Bathory family. Although she didn’t live and die in the castle, her story is the reason why there is a whole section in the museum dedicated to her. Legends say that Bathory dealt with occult studies and bathed in young women’s blood in order to make herself look younger. She was accused and found guilty of killing nearly six hundred virgin women and was sentenced to solitary confinement in a windowless room in her home the Castle of Csejte (Cachtice Castle). 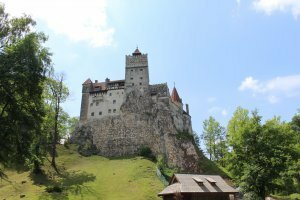 Another highlight of my trip was when my parents and I drove to Romania to see Bran Castle or “Dracula’s Castle.” There is no evidence to prove that Bram Stoker even knew about the castle, but the castle does have associations with Vlad the Impaler, which was Stoker’s influence for Dracula. With working full time and just generally life itself, there is no telling when I will have the opportunity to go back and visit my family or travel to another part of Europe for a trip. It’s what happens when we transition into adulthood. This is what got me thinking about this very article. For those of you in university or college, have you ever thought about doing an abroad internship? It’s something I wish I would have thought of when I was in school. Not only do you get the experience of immersing yourself into another culture, but you can get work experience and credit for doing it. So to help you kickstart the process, I reached out to some experts at Ryerson University. I had the chance to interview Career Centre Director Caroline Konrad and Global Learning and Engagement Manager David Begg. Before I continue, I want to say that this article is based off of information I received from Ryerson’s Career and International Centre and it may vary based on the institution you attend. But I’m hoping that this information will give you an idea about what to expect if you want to do an abroad internship and maybe the types of questions you can ask the experts at your school. Can I do an abroad internship? Konrad says about 80 to 85 percent of programs at Ryerson have an internship opportunity built into them, with some of them being mandatory, while others are an elective students can take. Students are open to doing an internship at anytime. “The internship course might be available in your third year, but we also have instances where students will have done a number of electives already and be ready in second year to take on that opportunity,” Konrad adds. Internships generally last one semester, which is about eight to 12 weeks, and depending on the program the internship can take place during the fall, winter, or summer. “Some we see as short at six weeks, but that’s more of an exception than the norm,” says Begg. Do I have to be able to speak a different language? Students can do an internship in various countries around the world, regardless if Ryerson is able to offer language courses in those areas. Konrad says in some cases students are not required to speak a language and employers specifically look for native english language speakers to add perspective into the workplace. But there are some cases where language is a requirement, but they don’t necessarily have to be fluent. “Working knowledge is usually the advisable,” adds Konrad. Begg says because Ryerson has such a diverse student body, they see students taking internship opportunities to a country they have a particular tie to and want to go “home” to visit their families as well. Begg says students should think objectively about whether or not they should do an abroad internship. “What do they want to get out of it,” he says. Whether you want to learn a new language, get better at a language you already know, or broaden your network within your professional area, students should think about what kind of work experience would best suit their objectives. Students must submit an application to their program, especially if they are the ones securing the internship. Konrad says the application will have information on the employer and how will a particular position strengthen their academic studies. This application will go through an approval process within the program, “ensuring the employer mirrors the academic program needs and is providing a legitimate learning opportunity,” she adds. Begg says Ryerson works very closely with students to make sure they have information on their destination and to ensure they have support while they’re abroad should they find themselves in need of it. Why does it look good on your resume? Whether it’s a large business that engages with international leaders or a small business, employers are always looking for ways to meet the needs of diverse customers. “A graduate that has gone abroad and has done all of that on their own two feet is a key asset for a company,” says Konrad. It’s not just about being able to put down on your resume that you went on an internship abroad, but about what you learned from it and how you can apply it to the workforce. Konrad says an abroad internship can teach you how to communicate better and enhances your critical thinking. “How are you dealing with nuances in situations that you might not have experienced in your typical home environment,” adds Konrad. Begg says it’s something he encourages students to consider. “It’s not just a cherry on top, so to speak, but something that can really add a meaningful component to their education and their employability.” He says he sees the resilience, maturity, and confidence it builds in students and has implications not just for employment, but the rest of their life. “As cliche as it sounds, it makes you a better person,” Begg adds. For more on Ryerson University you can click here. You can head over to Ryerson’s career page or international section for further information. In addition, Career Centre Director Caroline Konrad is on Twitter.